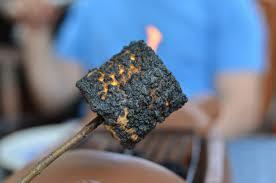 Actually, we only need to talk about a single aspect of s’mores making: The marshmallow roasting. Nowhere in any definition are the following words used: burnt, singed, set ablaze, engulf in flame, ruin. Normally I subscribe to the life theory of everybody being entitled to their own opinion. Not in this situation. 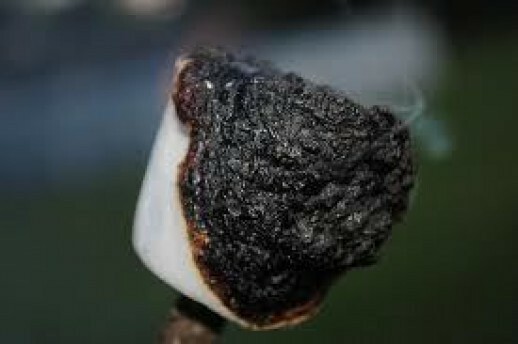 When it comes to roasting marshmallows, there’s a right and a wrong, no in between. And really it’s just a common sense thing. In what other scenarios do you purposely burn your food before eating it? Burnt pizza is the worst. Burnt toast is inedible. Burnt popcorn has ruined relationships. If you try to argue that burning the outside of a marshmallow is on par with getting your burger or steak well done, I will remind you that getting your burger or steak well done is an insult to good eating. Originally I was going to write that if you’re the type of person who purposely sets your marshmallow on fire, I don’t want to be friends with you. But now I’m realizing that roughly 85% of my friends apparently do this. 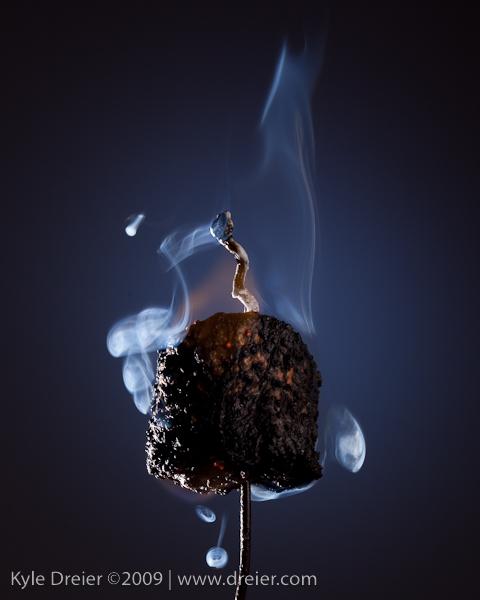 So instead I’ll just say this: If you purposely turn the outside of your marshmallow black, I think you’re certifiably insane and should have your head examined. I think you should be locked up. For you crazy people out there, I dare you to roast a marshmallow the proper way next time you have the opportunity and tell me it’s not 500 times better than your outdated Neanderthal way of doing things. Otherwise I’ll take your silence as an admission of wrongdoing. You’re all very welcome…Someone had to bring this hard-hitting issue to the forefront.